The Worm Factory 360 s a popular ‘Worm Farm‘ Composter Kit all ready to go. It is really quite simple even a child could do it! 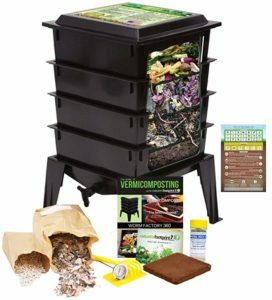 For a little over a $100 you get a complete worm farm composting system that will allow you to manage your compost worms, and collect your excess castings and liquid fertilizer on a regular basis to use in your garden. 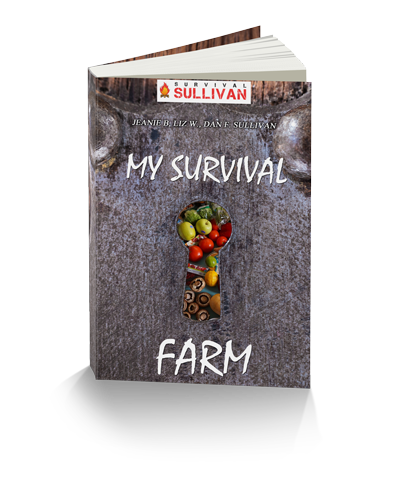 There are a few tips though to keep in mind if you want to make sure you don’t kill off your worms, and allow you to make the most of your wonderful little recycle and fertilizer factory. Not all your kitchen wastes are ideal for worms. Below I have listed foods you should NOT feed them, as well as foods you CAN feed your worms to keep them happy and healthy. A couple of other points of caution. Many people will add shredded paper and unwaxed cardboard to their worm farms and gardens, however, I am reluctant to do this due to the many chemicals that are used both in the production of these items as well as the inks used on them. 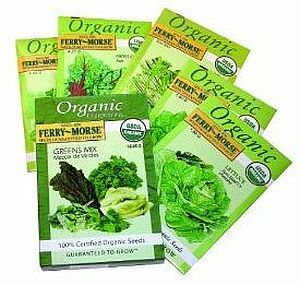 I really don’t want these random and in some cases, proven to be harmful, chemicals going into the mix of my vegetable patch. Same applies to toilet rolls and egg cartons unless you are pretty sure they have not been bleached and processed…. I avoid them for my garden and my worms. Remember too, with the manure, be aware as to whether any of the animals have been given chemicals in the form of medications, worming preparations and dipping. As long as you know the animals are free from pollutants then chicken, cow, guinea pig and horse manure are ideal. Another really good tip for your worms, is to break up or shred the food pieces. The smaller the better, and the quicker the worms will be able to process them. You don’t want food just rotting, and to avoid this you also don’t want to over-feed your worms. Others things to be aware of is to keep your Worm Factory 360 warm in winter and cool in Summer, around 73 – 77 degrees F (23 – 25 degrees C) would be ideal. Also keep their bed moist but not wet, as worms can drown, so don’t forget to frequently drain off the liquid fertilizer from the bottom of the Worm Farm, via the little tap. When you are using your Liquid Worm Fertilizer remember that it will need to be diluted around 1 part to 15 with water; it will look like weak tea, then you can use it on your plants. Worms are a wonderful addition to your Organic Lifestyle, recycling kitchen wastes as well as providing valuable fertilizers for your garden. The Worm actory 360 is just one type of Worm Farm System but is very popular around the world, and is definitely a reasonably priced option.